Starting an online store has never been easier than in this digital age we live. The Internet has changed our lives in so many different ways, helped by the explosion in the use of smartphones and tablets. There is not much you cannot do online, and shopping is no exception. The Internet has also opened opportunities for people that would not have been able to follow their dreams before its existence. Gone are the days when you needed a physical shop to sell you wares, now you can sell them online. If you would like to start your own business or have ever wanted to open an online store but didn’t know where to start, here’s how. The first thing you have to do is choose the products you are going to sell. They could be actual goods, which could involve quite a lot of financial outlay, or they could be digital products that you can make yourself. With actual products you need to have a stock of them so you can fulfil orders speedily, or you have to have a dropshipping arrangement with another company. Although dropshipping requires no huge investment, you do usually make less profit on each sale. It could be that you are selling something you manufacture yourself, or that you are able to get stock on a sale or return basis. You may even have a friendly bank manager who will advance you a loan to buy some stock. There are several options available if you are intending to sell a physical product. If you decide to have digital products for sale, you could make these yourself. If you have expertise in a particular area, it could be that you can put together a tuition course. You could write an eBook, or make some instructional videos. None of these options need much money when you want to start on online store. Now we get to some of the more technical things you need to do. Firstly, you must register your domain name to make sure the one you want to use is available. Once you have done that you should look at the ecommerce hosting sites, the two most popular being WooCommerce and Shopify. One of the biggest headaches of setting up an online store is the problem of accepting payments. 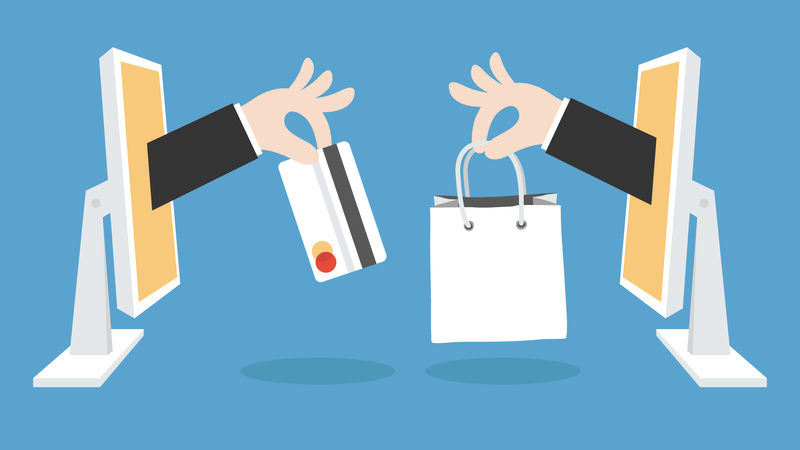 These ecommerce sites will be able to help you achieve that without too much hassle. These platforms allow you to customize your online shop and provide 24-hour support to help you. Every online shop is different and there are various things the owners want. Ecommerce platforms can cope with most requests. Why Is Your Product Better? You have to ask yourself why potential customers should buy your product rather than competitors. Is yours a better quality? Is it cheaper? Do you offer free shipping and the competitors don’t? Have you been more proactive in letting people know you are there and what you are selling? Is your site more user friendly? An online store that is hard to navigate and pay for any goods purchased will soon lose customers. It is estimated that you have between 2 and 4 seconds to engage viewers in your online store, so ease of use is vitally important. As for marketing, you will not have any customers if people do not know you are there, no matter how good your online store is. One of the cheapest ways to get your brand known is social media. It can be very time consuming but is also worth the effort. Make friends with as many people as you can on the available social media platforms, but don’t get over pushy about your online store, as they will just scroll past your posts. Be a friend to them and let them know what you do as part of that. Then when they do want a product you have, they will remember they have a social media friend that sells that. Now you have everything in place and let people know you are opening an online store, you just need to decide on a launch date. If everything goes to plan, your computer will do most of the hard work, and you will just need to be there to answer queries and deal with any problems. You can even do that on your smartphone while out and about, your online store will not confine you to one place.